The result saw Binder slot into third place in the season’s championship chase, on 119 points. South Africa’s contenders in this year’s Motorcycle World Championship are doing the country proud under tremendously challenging conditions. 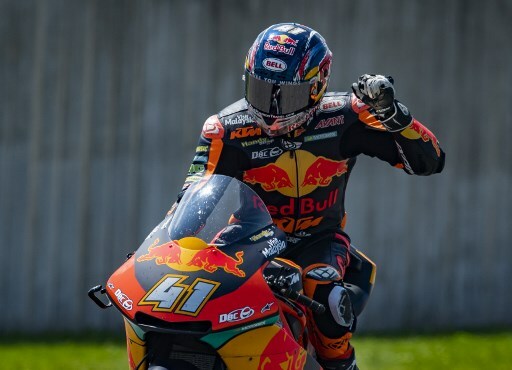 Last Sunday’s San Marino MotoGP saw former Moto3 world champion Brad Binder (left) take a close seventh place in the Moto2 race on his factory Red Bul Racing KTM. That makes him the best of the rest, ahead of Italy’s Lorenzo Baldassari (Kalex) on 116 and Spain’s Joan Mir (Kalex) on 114. Comfortably ahead and engaging in a duel for the title are Italy’s Francesco Bagnaia (Kalex) on 214 points, and Portugal’s Miguel Oliveira (Red Bull Racing KTM) on 206, Last Sunday, South African Steven Odendaal finished just outside the Moto2 points in 17th on his underdeveloped NTS.